General Appearance: Lively, highly intelligent, with a smooth coat, short head and compact body. He expresses determination, strength and style. A quick once a week brush through keeps his coat nice and shiny. In cold weather, he should wear a sweater for outdoor activity. Size, Proportion, and Substance: Weight is divided by classes; under 15 lbs., 15-20 lbs, and 20-25 lbs. 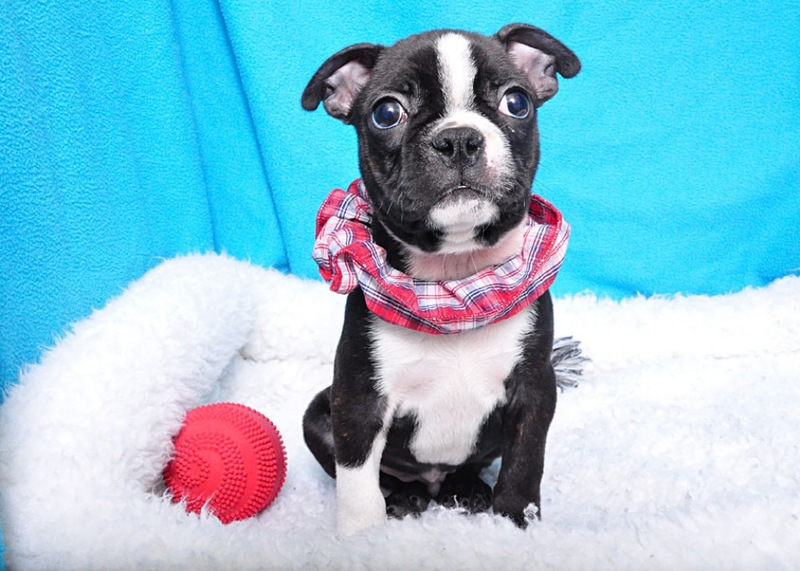 Background: An American original, the Boston Terrier is a charming little dog. Brimming with personality, he is outgoing and loves to make new friends, (two legs or four, he's not particular.) True to his heritage as a fighting dog, he'll sound the alarm and make an excellent watchdog. However, this gentleman's fighting days are long gone. His short coat requires little care, but offers no protection from the weather. Keep him warm and he'll warm your heart.